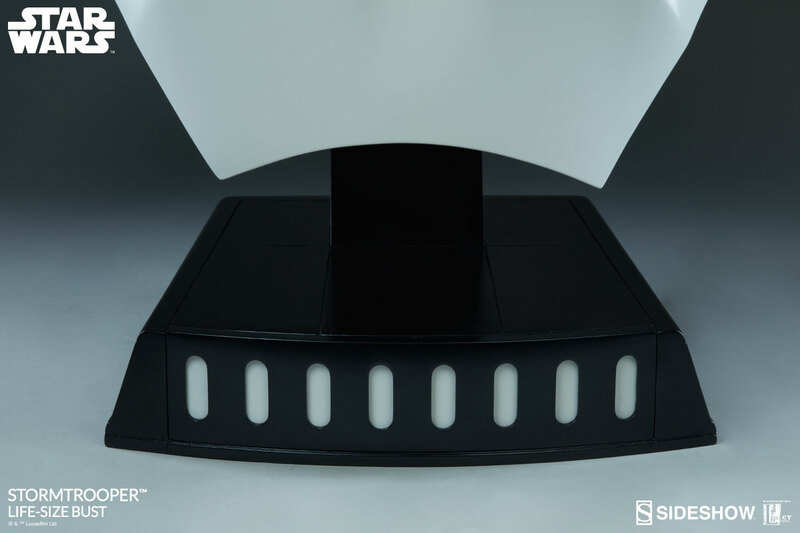 There is no mistaking the stoic helmet and sleek white armor of this famous foot-soldier. 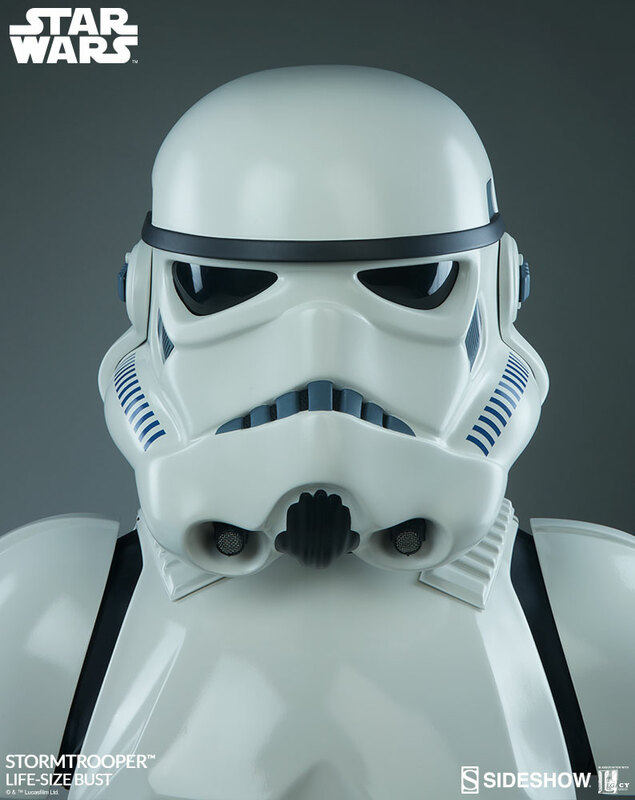 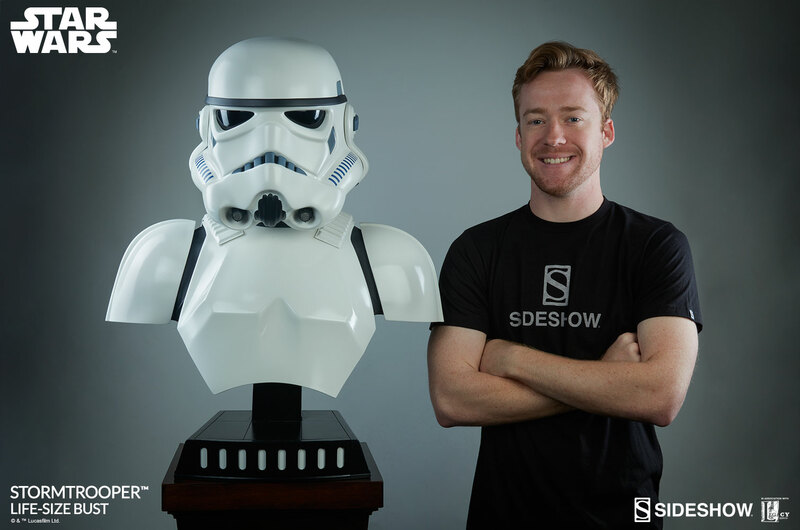 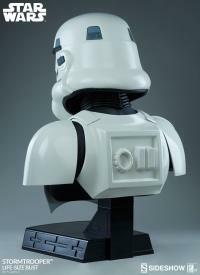 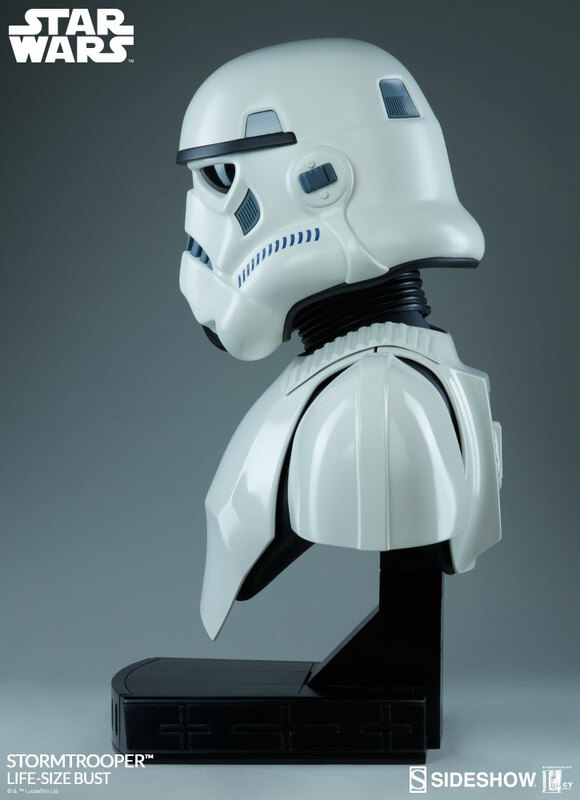 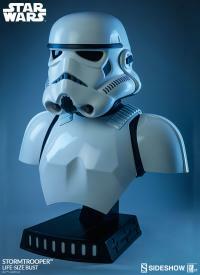 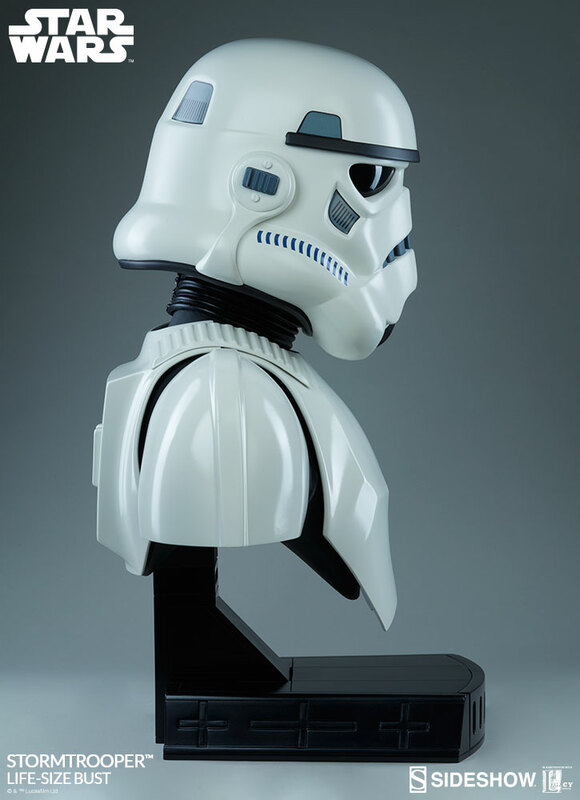 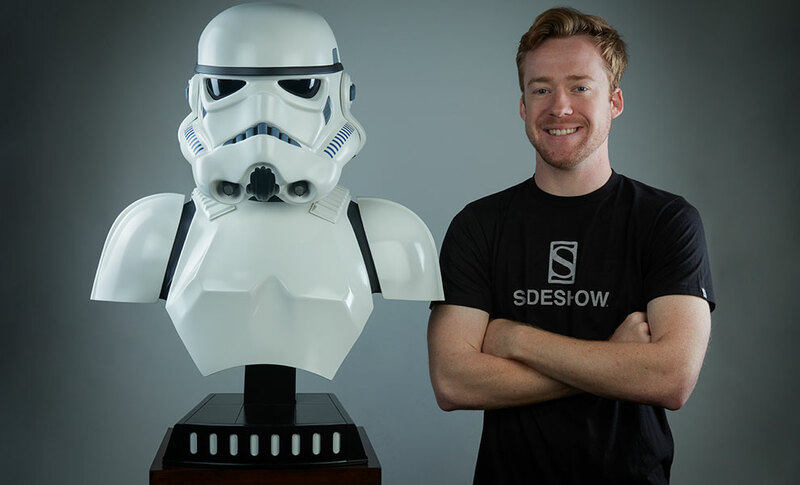 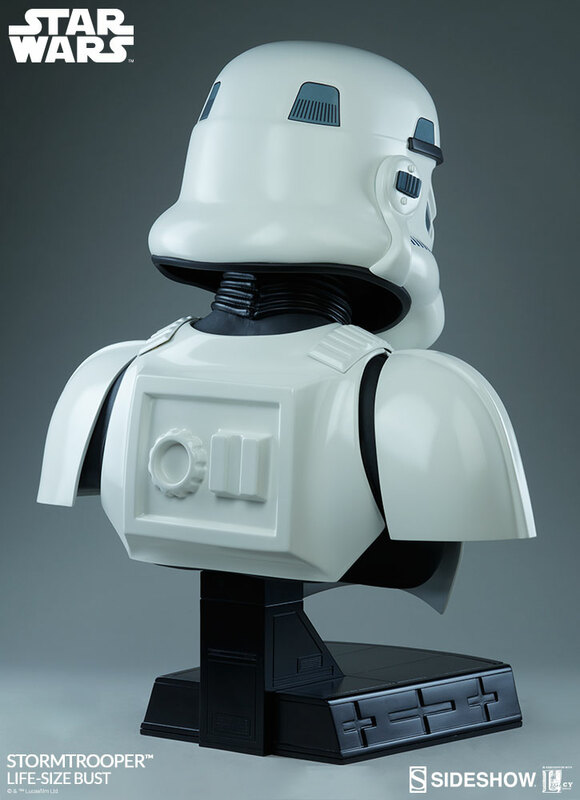 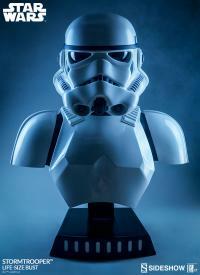 Sideshow is proud to present the Star Wars collectible Stormtrooper Life-Size Bust. 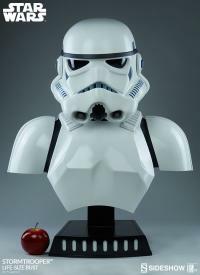 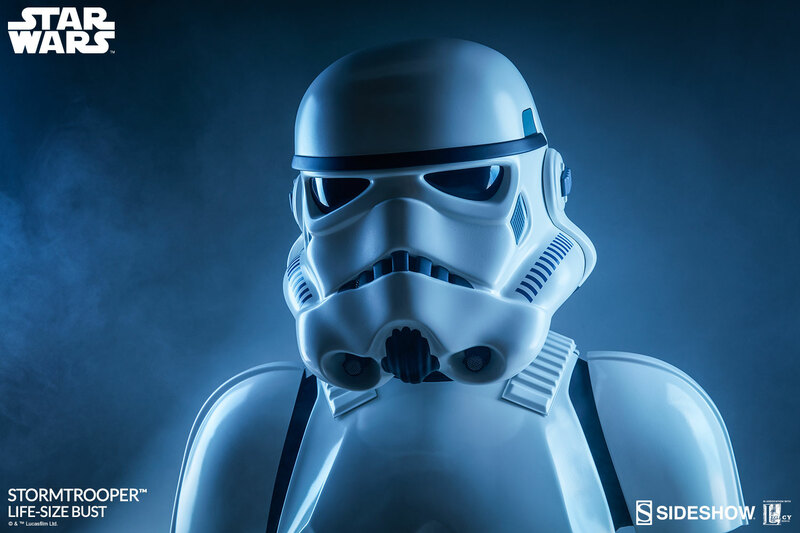 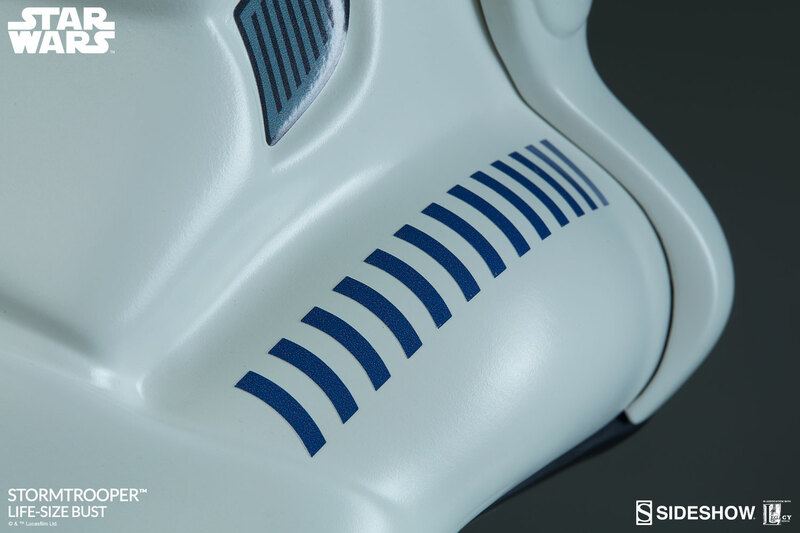 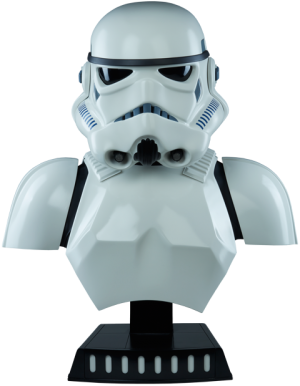 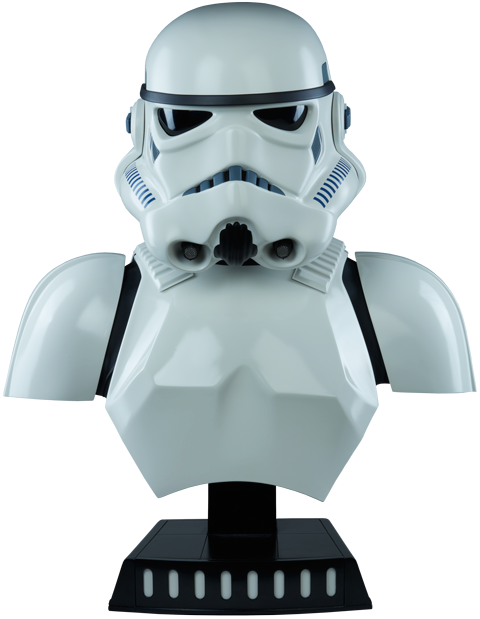 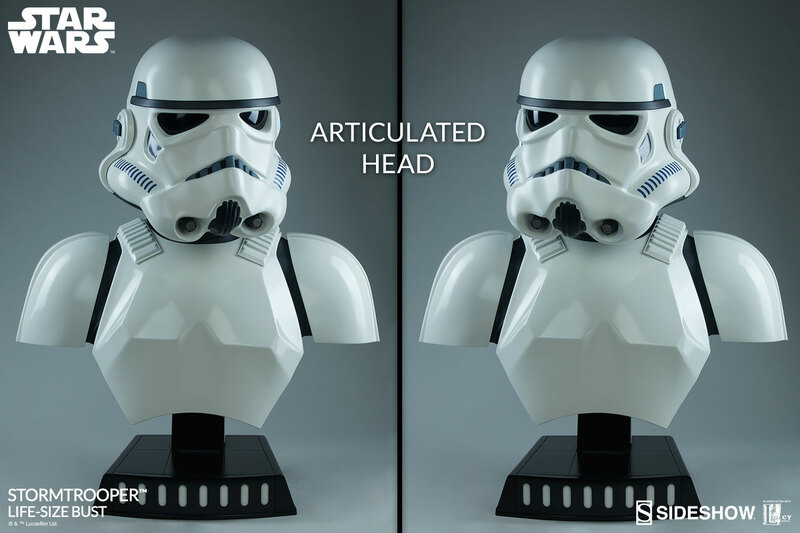 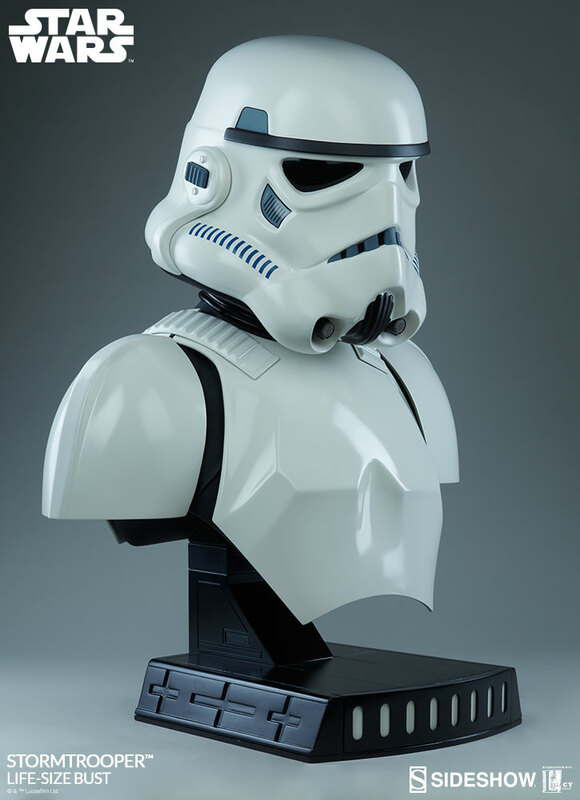 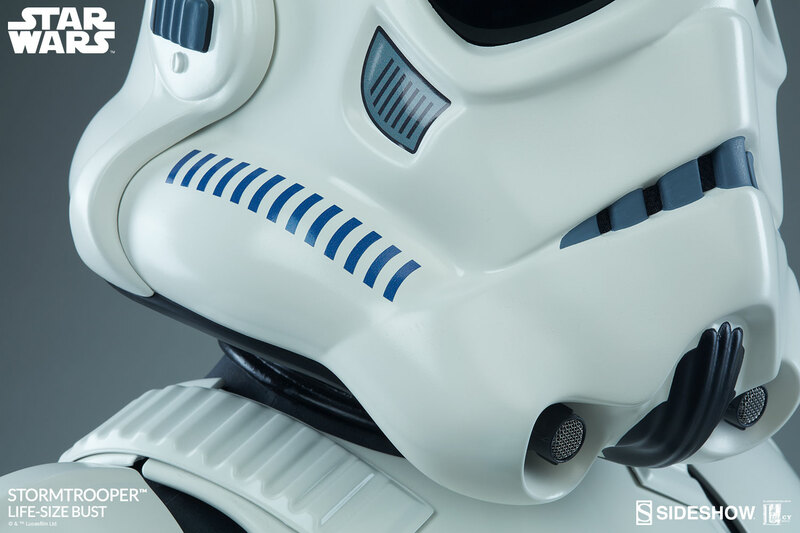 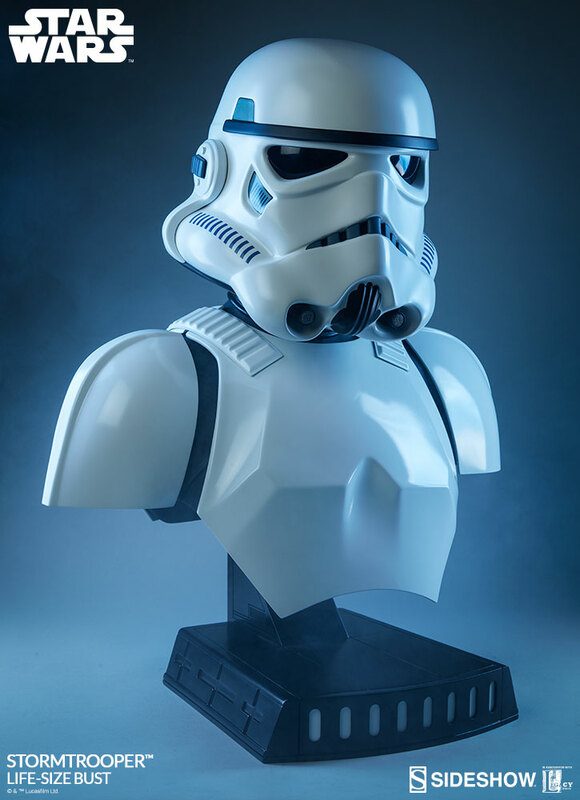 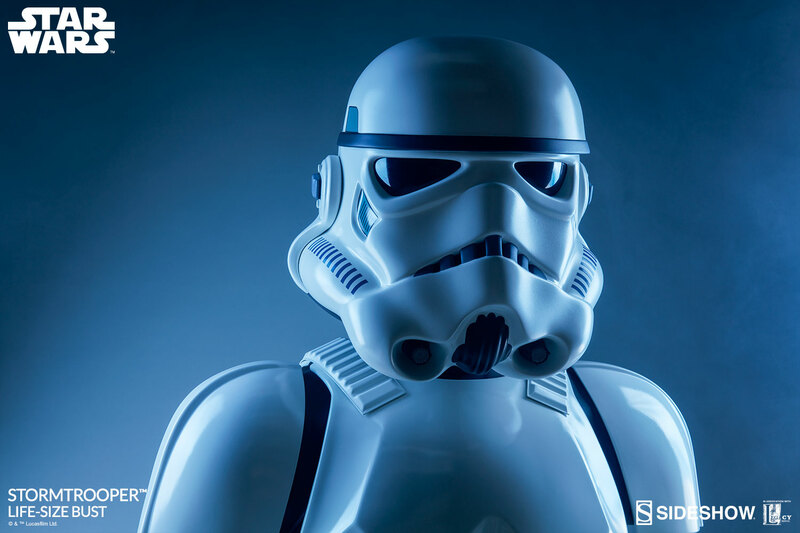 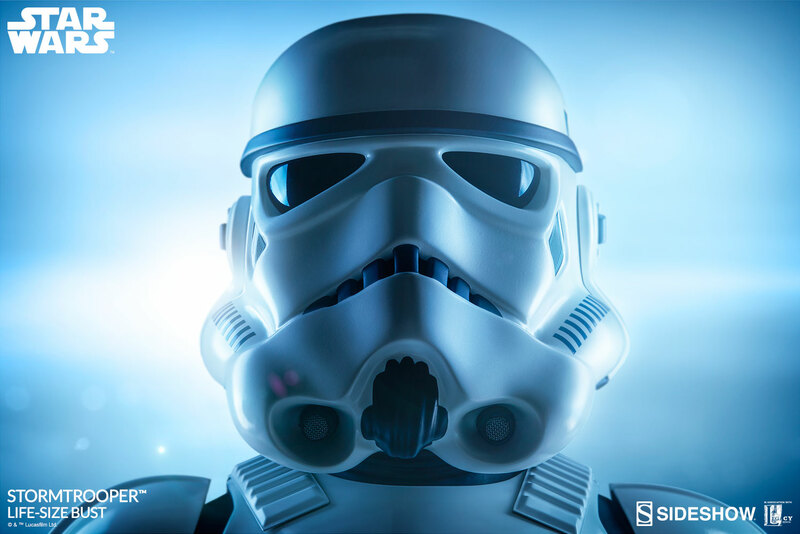 Created in partnership with the talented artists at Legacy Effects, the Stormtrooper Life-Size Bust captures the famous armored face of the elite troops of the Galactic Empire. 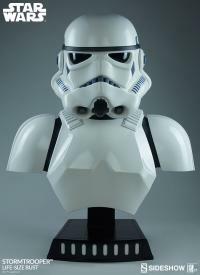 Juste une merveille, il es super beau, pouvez pas rever mieux, j'ai rien a redire, le buste est d'une qualite incomparable. 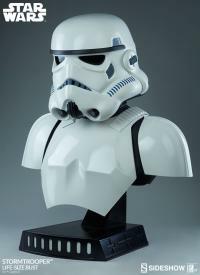 Maintenant j'attends de voir pour le buste de Dark Maul. 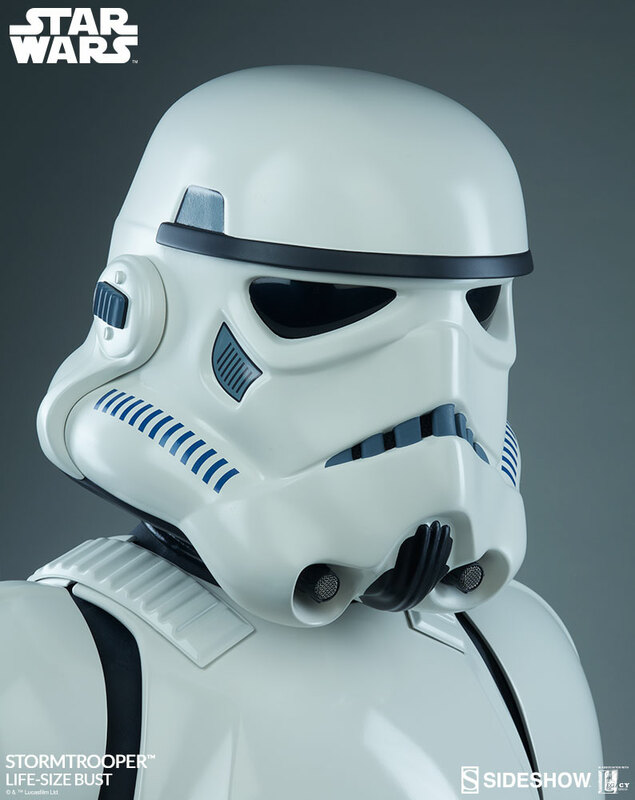 Merci a vous par cette qualite exceptionnelle.